Four Leadership Qualities from History’s Great Figures. Great moments in history occur when the seemingly impossible becomes reality. In 1963, Martin Luther King, Jr. stood “in the symbolic shadow” of Lincoln and delivered his “I Have a Dream” speech. 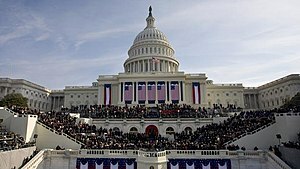 In 2013 and a mere 1.9 miles away, President Barack Obama was sworn in as the President of the United States on the steps of the Capitol using Bibles from President Lincoln and Dr. King. Irrespective of your political inclinations, it was incredible to see history being made – marking the progress of a nation. Democracy and freedom are fraught with conflicting ideologies, deeply held beliefs and seemingly impossible struggles. Yet, out of uncertainty comes remarkable leadership with four unyielding qualities. 1. Be Authentic – Lead from who you truly are and not what others want you to be. 2. Believe – Believe that change is possible. Your belief will inspire others to follow you. 3. Act – Lead by your decisions and actions. 4. Persevere – Have the courage to act in the face of challenge with the steadfast belief that success will come. While very few of us will go down in the history books, we will leave an indelible mark on the future – whether it’s the direction of our businesses or the imprint we leave on the next generation of leaders.